Children mostly inspired from the new Batman Beyond and this kind of television series has been shown in worldwide and interested as Batman of the future which is created for protagonist character for Terry McGinnis is normal. But he has new gadget and new enemies in mask of Batman similar as given by Bruce Wayne. We are bestowing you the best and brand new style of future entertainment which is represented by DC Comics of based storylines cultivated as Batman Beyond and the Terry McGinnis jacket for man to be attire in winter seasons. 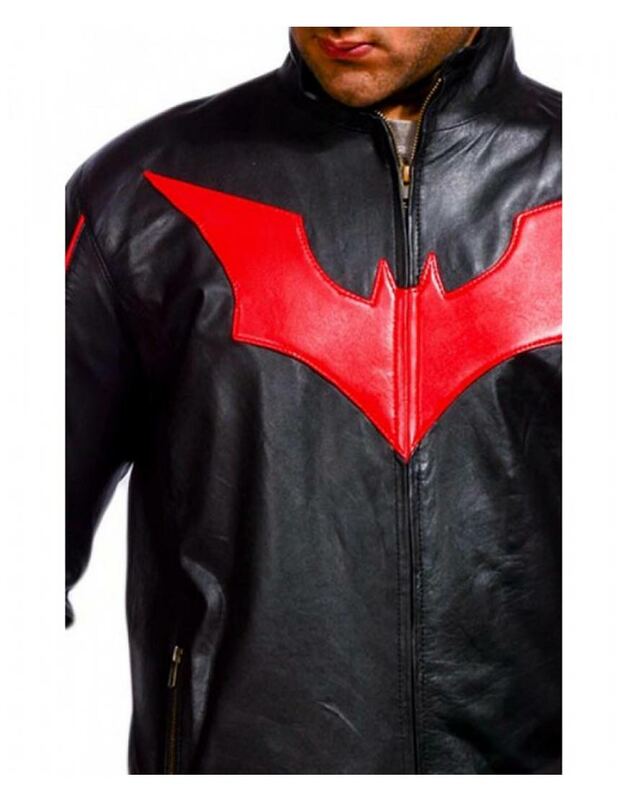 Batman Beyond jacket is crafted from the real leather / faux leather with quilted viscose lines of internal side of black color of overall the outfit. 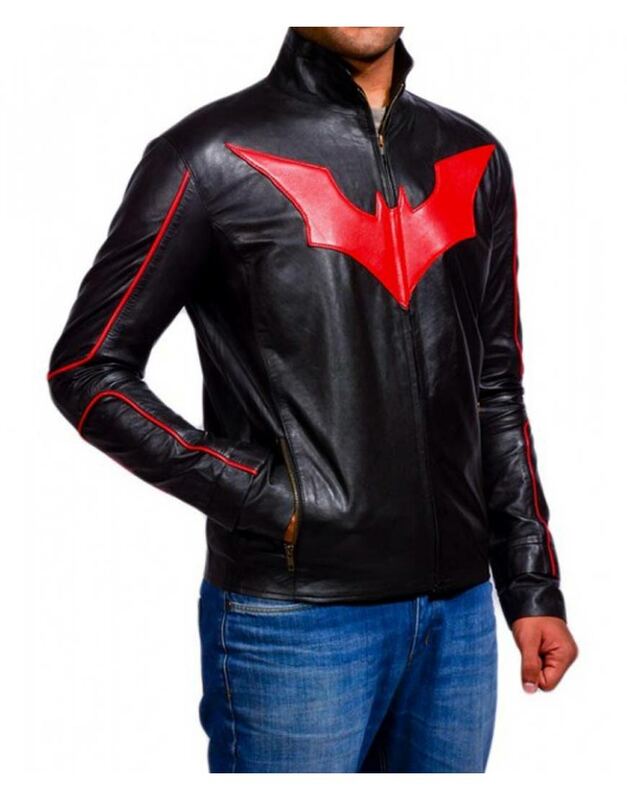 The YKK zip fastener is throughout from the neck round collar similar as given in Terry McGinnis to be cover himself, the long sleeves of open hem cuffs are given for men to be attire with embroidered in brand new style of “Bat” logo of the future which is shown at the chest side in color of red. The striped of design is shown in different kind of style for men to be cover red color from shoulder to biceps through from arms. 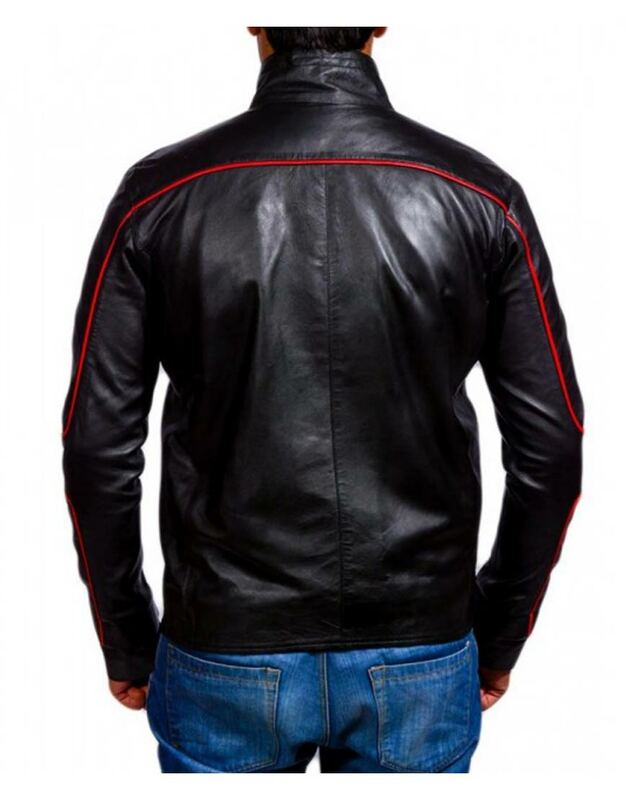 The quality of stitching as slim fit for men to be given same as him with stitched of open hemline above the bottom for men to be wear in casual times as like biker boys while riding bike and seasons of winter and rainy days; and also could be put on this dress in casual event and bachelor parties for men. WoW! So Happy! It is worth buying! I got my in faux leather and I'm loving the comfort. My 'Beyond' Amazing Jacket (Real Leather) This is my second order from the Ultimate Jackets. 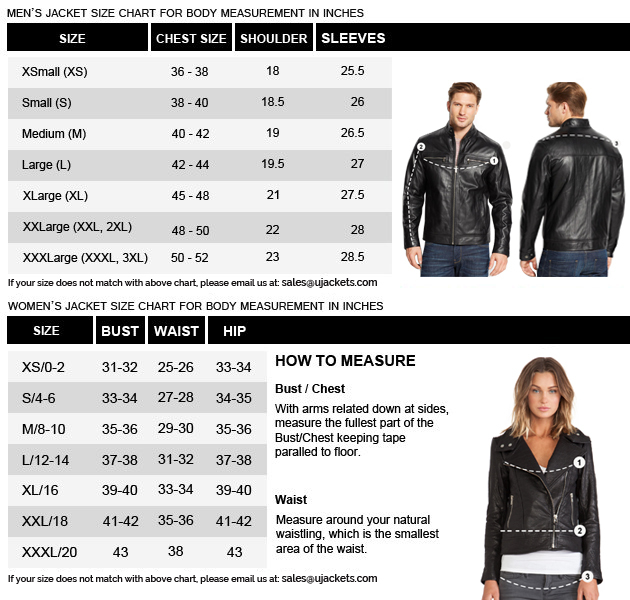 The first order was a 5 star one but I didn't review the jacket, which was in faux leather. I was very happy with that and now I decided to get a real or genuine leather jacket for myself. 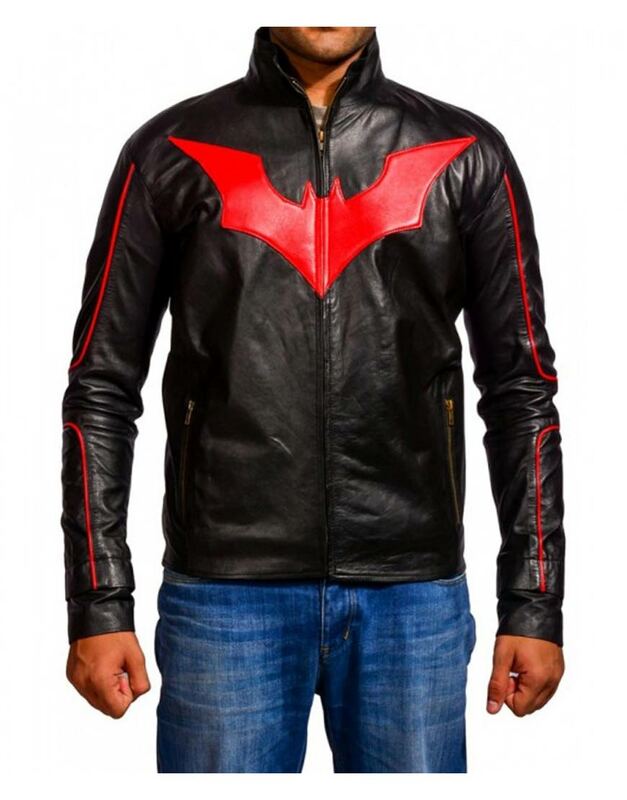 This Batman Beyond jacket in real leather looked more badass. Before I wore it, just by looking at it gave that thought. The moment I wore it, I felt superb! The shoulders had no issues as they fit comfortably around mine, the sleeves were the right length and the jacket's stitching was good, as usual. This was another good product that deserves 5 stars. Pretty Great Jacket Overall Overall, this is a great jacket. The design of the sleeves is a little weird and some of the stitching for the lining seemed to be coming undone after I wore the jacket for a day. Other than that it's great. Nice Persona Great Jacket The color and fit were both tremendous. I bought a vest to go with it and hoped the colors would mesh well. The vest was a match. Overall great look, i am very pleased with this purchase and I'll be shopping there again! !